The waiter comes and even before he kept the dish on the table I could smell the aroma of rice and lemon. Ever since lemon rice has become somewhat a regular as an evening snack dish. Wash the basmati rice in 2-3 changes of water. Soak it in 2 cups of water for 10 mins. Put the rice along with water in a deep sauce pan and cook on medium-low heat. Add lime juice, salt, turmeric and ghee in the water. Mix well and let it cook. The rice is ready when all the water evaporates. 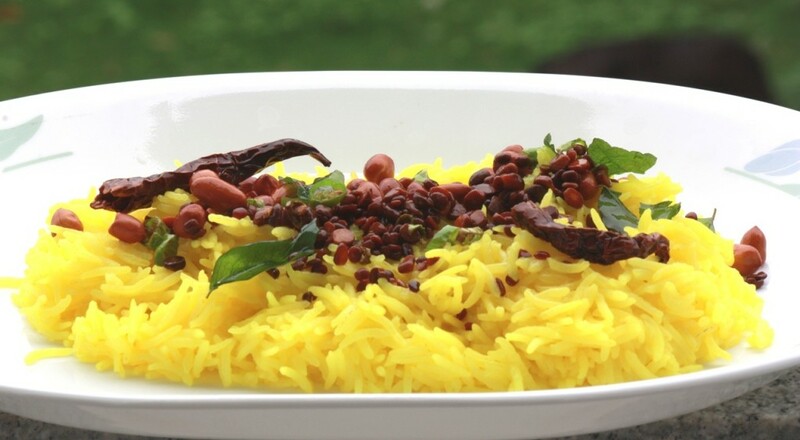 The rice would have taken a bright yellow colour of turmeric J. Remove the rice on a rice platter. Heat a non- stick pan and add oil. When the oil is hot, add the curry leaves, Kashmiri red chillies, peanuts and chana and urad daals. Remove when they turn brown and add to the rice. Serve the rice as is or with yoghurt. 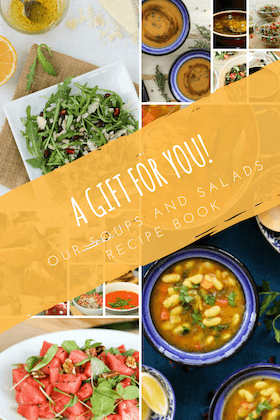 You have an amazing array of recipes. Thank you so much for posting so many vegan recipes – good for our health and also our beautiful planet Earth.